Haven’t been scuba diving lately? Feeling a bit rusty? The NEW PADI Reactivate Scuba Tuneup Refresher Course is just what you need to brush up on your knowledge and skills. If you’ve been out of the water 6-12 months or longer a refresher is a great idea and mandatory after a year of inactivity. If you’ve been away from the sport for 10-20 years or longer, we would recommend you contact us, much has changed since your initial course with skills and equipment, especially here at Dan’s. A PADI Professional will get you in the water having fun and feeling comfortable again. It’s quick and easy, and a good way to prepare for your next PADI course or get ready for adventure on a diving vacation. You can also choose to work through the Scuba Tune-up Guidebook – a workbook that refreshes and tests your knowledge through short quizzes. 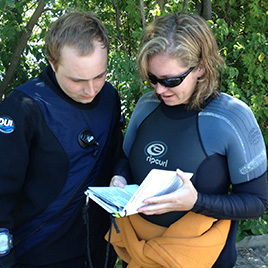 Stop by our store to enroll in your Scuba Review and get your guidebook. 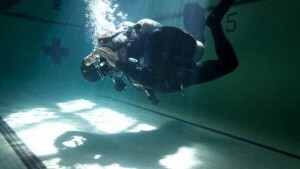 You’ll use basic scuba gear, including a mask, snorkel, fins, regulator, BCD, dive computer and a scuba tank. The exposure protection you need will depend on the pool or confined water dive site you’ll visit. Our experienced staff will explain other equipment you may need for your refresher. Sign up for Reactivate Online with Scuba TuneUp and start refreshing your knowledge right away. Enroll in a Scuba Review program with us.